Ten is bringing ITV UK’s popular TV show Saturday Night Takeaway to Australia. The local version will be hosted by I’m A Celebrity… Get Me Out Of Here! hosts Chris Brown and Julia Morris. 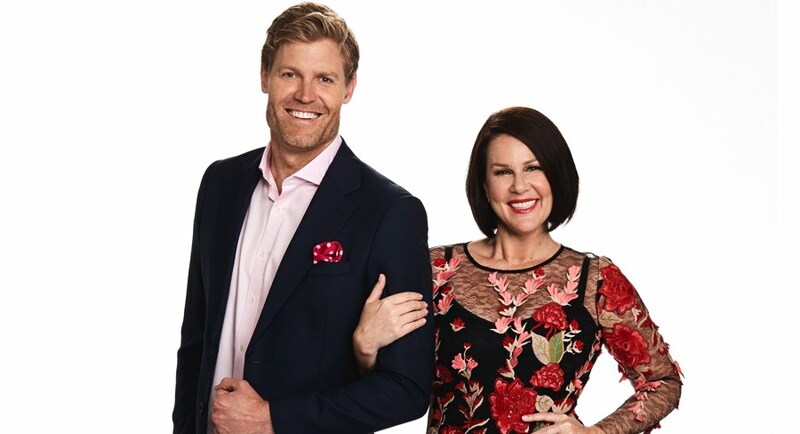 Called Chris & Julia’s Sunday Night Takeaway, it will screen on Ten and WIN Network in early 2019. The show involves participation from the audience and celebrity guests. Audience members are chosen at random to participate in challenges and viewers at home receive surprise live visits. Celebrity guests will be taking part in tasks or will be the victim of Morris and Brown’s pranks. Morris said: “I absolutely love Ant & Dec’s Saturday Night Takeaway and can’t believe my luck that I get to stand alongside my beloved Docteur and host our very own local version of the show. Brown added: “This is such an exciting and dynamic show to be a part of. But best of all, it’s got a massive heart that will deliver such a huge hit of warmth into Australian lounge rooms. Just like Takeaway should. The UK version of Saturday Night Takeaway, which was created by hosts Anthony McPartlin and Declan Donnelly, has been airing on ITV since 2002. It has been made locally in 10 other countries including the US and Germany. ITV Studios Australia CEO David Mott said: “Takeaway is simply the biggest global entertainment format around. The perfect marriage of Julia and Chris’s incredible talent, along with the format, will be the ultimate variety show.